Meet the Florida residents who survived by tooth, claw, and scaly armor long before the first humans arrived. “The Teeth Beneath: The Wild World of Gators, Crocs and Caimans” will open Feb. 25, 2017, at Mote Aquarium in Sarasota, Florida. See American alligators and invasive spectacled caimans found in Florida waters and wetlands, and learn how wetland and coastal habitats are vital to native species such as the elusive American crocodile. 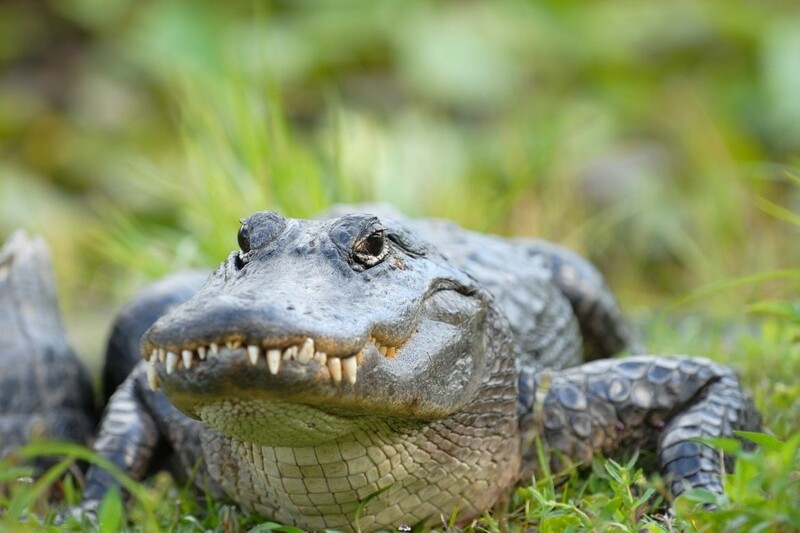 Gators, crocs and caimans are crocodilians — a group of large, reptilian predators that are sometimes feared or misunderstood but play important roles in their ecosystems, reminiscent of the sharks studied by Mote Marine Laboratory scientists. Mote, an independent nonprofit marine science institution, educates visitors through exhibits like “Otters & Their Waters,” which opened in 2015 and highlights watersheds that drain into the ocean. Alongside the otter exhibit, “The Teeth Beneath” will continue the watershed-to-ocean theme. Can you tell a gator from a caiman from a croc? Learn how! Think reptiles are quiet critters? Think again — discover the noisy nature of crocodilians. What happens when humans and gators meet? Learn how conservation has helped some crocodilian populations bounce back from human impacts, and learn safety tips to help people and crocodilians coexist. How do you train a crocodilian? Very carefully! Learn how Mote’s animal caregivers work with the resident gators and caimans to support their health and well-being.